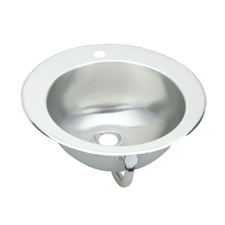 Elkay plumbing products are manufactured by minds that are driven to create the most durable and unique sinks and faucets for their customers. They also provide exceptional and effective client service. At one time, Elkay was a small business, established by a father and son over a century ago. It has grown considerably since its humble beginnings. Elkay, which was founded in Chicago Illinois, thrives worldwide in the market today. Elkay's wide variety of commercial and residential sinks allows you, the consumer, to express your individuality and style at an affordable cost. Their double sinks are particularly stylish as well as functional. 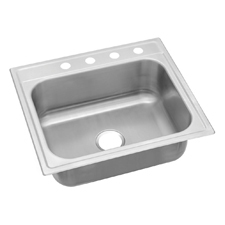 Whether you need undermount or drop-in sinks, Elkay has a sink to match your needs. 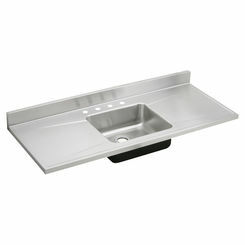 The undermount feature allows for easy countertop cleanup and displays a chic, seamless look. Not only do they have an impressive residential selection but also their commercial line is equally as impressive. 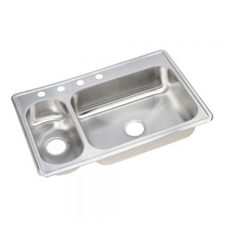 They offer everything, including water coolers with built-in filtration for the office; stainless steel single bowl sinks for the medical field, and oversized sculleries for the food service industry. 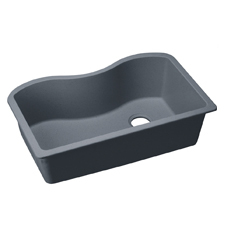 One of our most popular sinks is the Elkay Farmhouse 60/40 Aqua Divide sink (SWUF3320WH). For commercial applications, or customers love the Elkay Lustertone S60194. 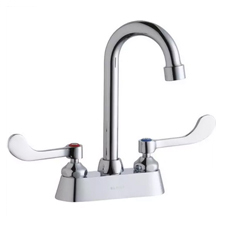 In classic fashion, Elkay offers a wide range of stainless steel kitchen faucets for residential and commercial installs. They look great when paired with their sinks. 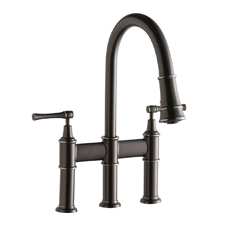 Whether you need a gooseneck, high arc, prep faucets or pot-fillers, PlumbersStock has the right fixture for your kitchen. The best way to describe their line of filtered water dispensers is to call them stainless steel water coolers. They look sharp and offer all kinds of features. There is even an option for a hot water tap. They will look great on your countertop, or you can buy the matching cabinet that will allow you to install the Elkay water dispenser anywhere you want it. 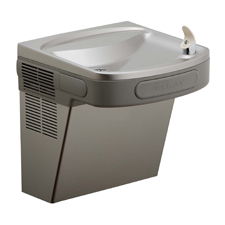 Maybe their very most popular plumbing fixture, Elkay drinking fountains are industry leading in terms of features. Check out the units with bottle-filling stations. Not only are they user-friendly (in comparison to filling a bottle from the fountain) but they are also filtered and conserve water. Your office could potentially save thousands of gallons of water each year. One of our best sellers is the Elkay EZS8L water cooler or the EZSTL8SC (bi-level). 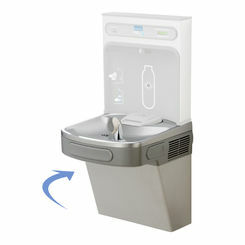 If you are looking for an option with a EZH2O bottle-filling station, then go with the Elkay EZS8WSLK or the EZSTL8WSLK (bi-level). If you only want a bottle-filling station, then get the Elkay LZWSM8K. Check them all out! 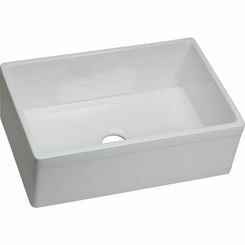 PlumbersStock offers the best prices you will find for popular manufacturers like Elkay and more. 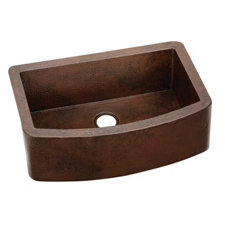 Save on drinking fountains as well as a variety of kitchen and bathroom fixtures and enjoy fast delivery. Thank you for choosing us and contact our customer support team if you have any trouble finding the right Elkay faucet or sink. Learn more at Elkay.com.